For more than 100 years, the Grand-Hotel du Cap-Ferrat has been a gleaming white palace escape, set amid a secluded garden oasis in the heart of one of the world’s most glamorous destinations. The hotel has played host to world leaders, monarchs and artists from around the globe. Recognised by the industry with awards for leadership in luxury and service, Four Seasons intends to honour the hotel’s enduring legacy by continuing to deliver understated elegance and quality combined with Four Seasons signature customised service. The hotel is uniquely positioned on the French Riviera. It sits on the tranquil peninsula of Saint-Jean-Cap-Ferrat, spread across 7 hectares (17 acres) surrounded by gardens lush with lavender and citrus trees. The property has funicular access to the seafront and panoramic views of the Mediterranean Sea. The hotel embodies French elegance in combination with modern design elements and luxuriously appointed rooms designed by Pierre-Yves Rochon, the celebrated designer also behind Four Seasons Hotel George V. The accommodations also include sumptuous suites, some with a private terrace and infinity pool for the ultimate in comfort and luxury. The French Riviera is home to one of the world’s most iconic resorts: the Grand-Hôtel du Cap-Ferrat has occupied an enviable place between Nice and Monaco since 1908. It is surrounded by seventeen acres of gardens, updated by renowned landscape artist Jean Mus, and boasts some of the region’s best views. Interiors are elegant and understated, with cream-and-white marble and the occasional touch of color: a Murano glass chandelier here, a vibrant tapestry there. The Residence Wing features suites with massive glass-paneled sliding doors that open onto terraces and private plunge pools. Past and future co-exist, especially in such details as the glass funicular, which sweeps guests from the hotel to the beach Club Dauphin and its Olympic-sized infinity pool. This is the grand dame of French Riviera luxury hotels. Its setting and ambience, at the end of exclusive Cap Ferrat (just east of Nice), are unsurpassed. The grounds are elegantly manicured, with daily maintenance of every blade of grass, every flower, every pine. The hotel occupies several acres at the end of the cape, with breathtaking views from many angles. The cape’s famous lighthouse (bombed flat in 1944) blinks a warm welcome. The entry is filled with the finest appointments – Murano glass chandeliers, Lalique sculptures and sconces, and fine art from some of the area’s most celebrated artists. Notes of commendation from entertainers, writers, poets, and politicians also adorn the walls. Virtually every room, at one time or another, has previously been occupied by a world famous person – people you would have certainly heard of, such as Winston Churchill, Frank Sinatra, Charlie Chaplin, etc. etc. Three restaurants serve the property, a fine pool and man-made (with dynamite) swimming cove in the Mediterranean. Service is beyond impeccable. The rooms are a bit small by today’s standards, but luxuriously appointed and stocked with the finest amenities. It’s not for everyone, however, as a four-figure nightly room rate for even the most basic accommodations and three-figure restaurant tabs keeps the clientele rather select. We visited the hotel for my husband’s birthday . It was faultless we enjoyed the whole experience from entering the beautiful hotel and grounds and meeting the friendly professional staff . It felt such an oasis of peace that we decided to stay and not venture out to other towns apart from NIce . Our meals in the veranda restaurant on two nights were delicious and well presented . We used the beach club area for lunch and this has a large pool and small restaurant area . We booked massages in the Hotel spa and it is very peaceful and relaxed with a pool and jacuzzi and rest areas . We did not book a car and arranged taxis through the concierge but there is underground parking and it might suit people to hire as the hotel is just outside nearby villages/towns . Ignore negative reviews on the prices and concentrate on the excellent service /food and the total ambience of the hotel . We will come again but in September to enjoy the sun and outside dining facilites. . My memory will be of the beautiful smells and flowers inside and outside in the grounds and the air of tranquility through out the hotel and grounds . The total professionalism of the staff was led by the hotel manager who met us on arrival . 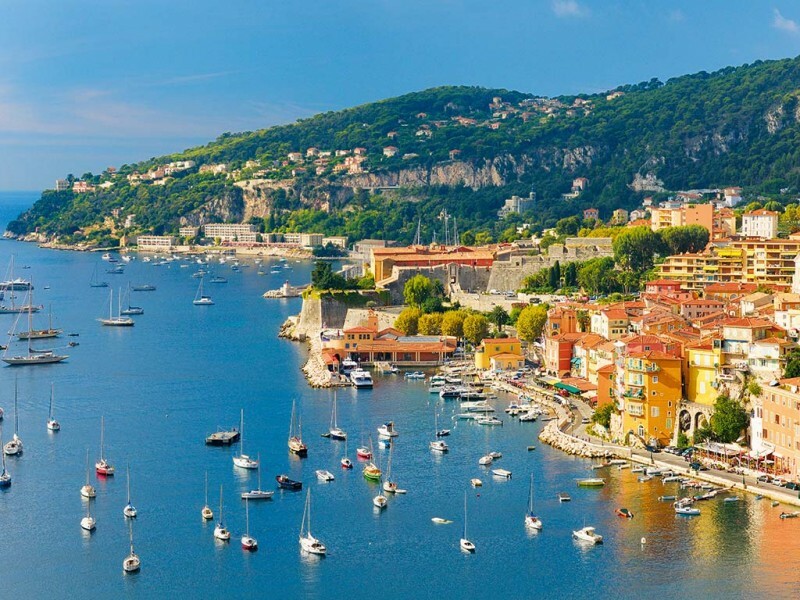 The French Riviera is a modern metropolis of warm waters, wild nightlife and white sands. But the bright lights mask a host of hidden treasures. Visitors are willingly distracted by the tanned, bronzed legs and champagne parties of elegant socialites, but beneath its glossy surface, the Riviera houses many sites of cultural and historical value. Save up to 10% off Budget European Rentals!